“What It Means” (16 crosses) 33X54 1/2″. Machine pieced and quilted, hand embroidered words. 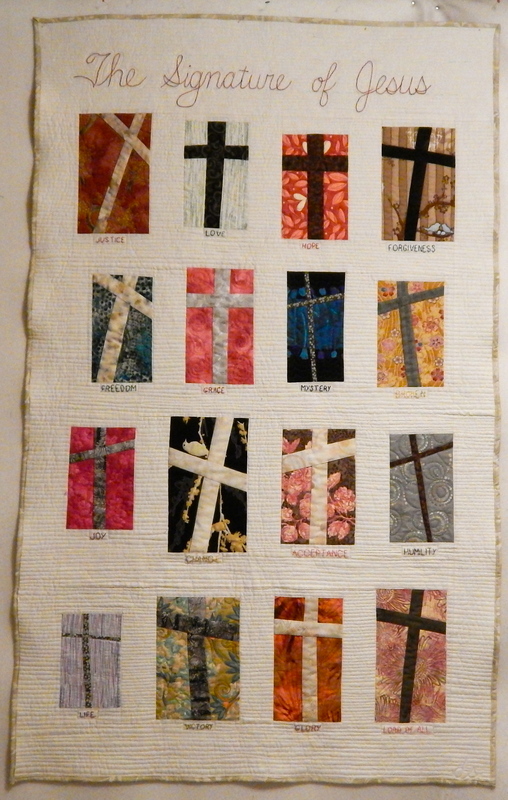 NFS Description: For this quilt, done near the beginning of the series, I asked several good friends if they could state in one word what the cross meant to them. I must admit that I also “asked” the same question of some of my favorite authors.